The Turfgrass and Landscape Management Program offers the Associate in Applied Science Degree as well as a certificate program. Upon completion of the two-year program, students will be awarded the Associate in Applied Science Degree. 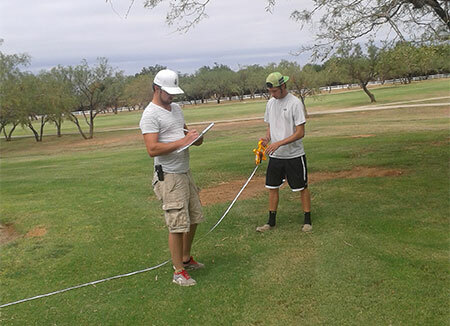 Most graduates entering into the golf course industry will begin their career as an Assistant Golf Course Superintendent or as an Irrigation or Pesticide Technician. Associate degree graduates may also enter into the landscape and irrigation industry, parks and recreation, or sales of horticultural products or sales of turf and landscape equipment. The one-year certificate in Turfgrass/Landscape technology prepares the student for employment in golf course and park maintenance, landscape and irrigation construction, or the landscape maintenance industry. 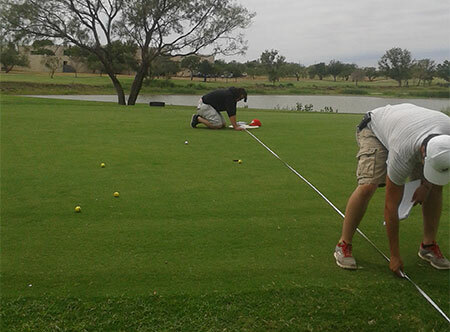 The Turfgrass and Landscape Management Program supports Tech Prep. High school students can complete up to seven semester hours of college deferred credit, which can be applied to the AAS Degree in this program upon completion of a minimum of six (6) semester hours at Western Texas College. Degree and Certification requirements are subject to approval by the Texas Higher Education Coordinating Board. Need more information? Complete our Prospective Student Questionnaire.